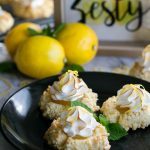 Lemon Meringue Thumbprint Cookies - What the Forks for Dinner? 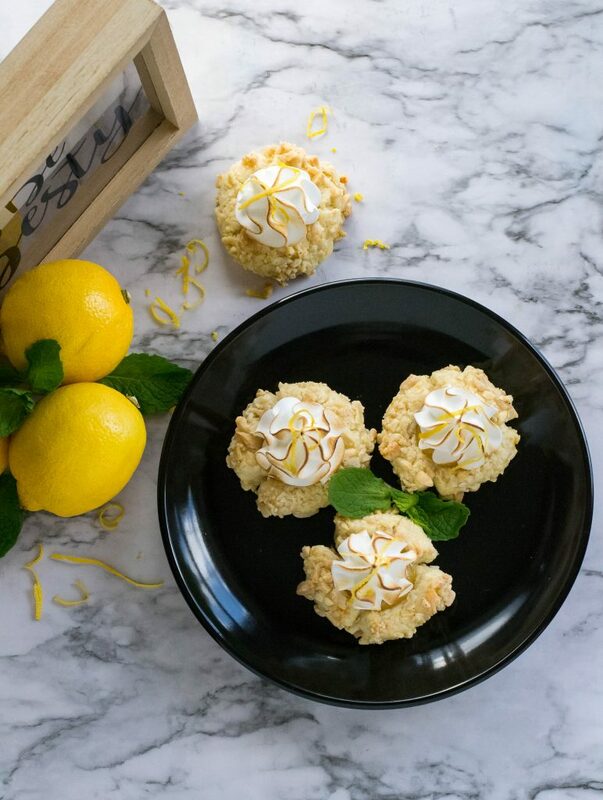 As a kid thumbprint cookies were always a favorite….you got to play with the dough. Plus we filled ours with buttercream frosting, and as kids, we ate that by the spoonful! Who am I kidding I still do that…lol. 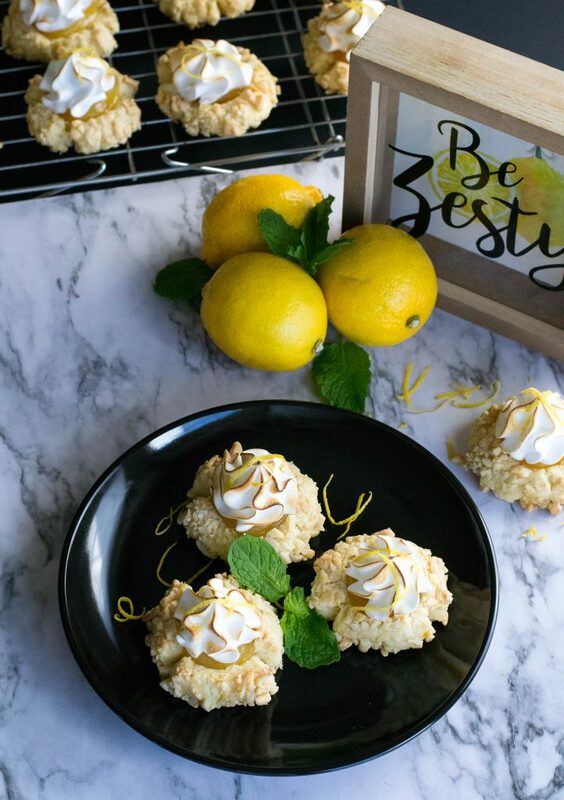 Lemon Meringue Thumbprint Cookies are more of an adult cookie. Crispy on the outside soft on the inside, and covered with yummy almonds. 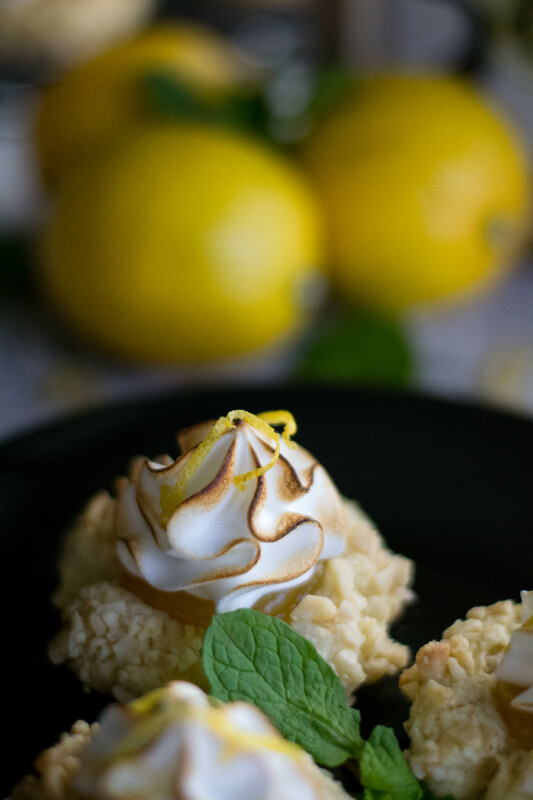 Tart lemon curd fills the inside of the thumbprint. I purchased mine, but if you want to make your own, please do. The piece de resistance is the meringue topping. Having made Italian meringue a couple of times now, although it seems daunting it’s actually pretty easy. 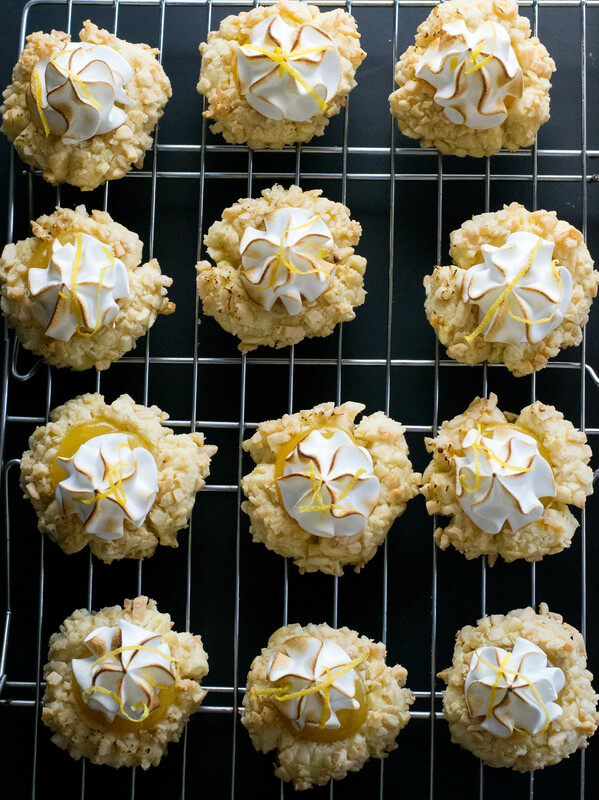 It makes a perfectly glossy, stable meringue, which is what you want in a meringue. A tool/gadget I have been finding indispensable ( and fun) is a kitchen torch. I got mine at Amazon. There are many different kinds and price ranges, whatever fits your style and budget get one! I bought an inexpensive one so don’t feel you need to spend a lot to get the job done. 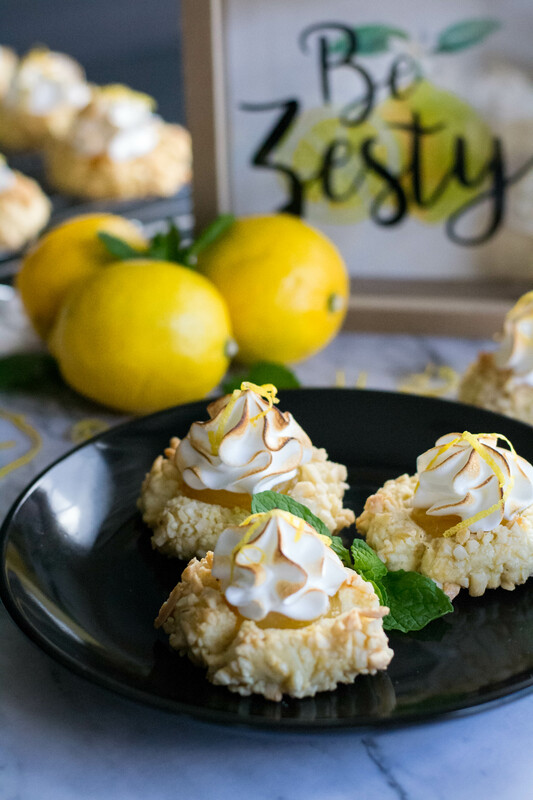 Lemon Meringue Thumbprint Cookies will brighten any Spring gathering whether Easter Brunch, a Bridal Shower or just because…bake up a batch today! !